While some teams are busy setting depth charts and closing out the few last remaining position battles, the Argos and Alouettes are looking to do some fine-tuning. Montreal’s Percival-Molson Stadium will be the site for one final dress rehearsal, as East Division rivals close out their pre-season slate in one of three games taking place Friday night across the league. It’s a chance to settle all outstanding matters before Sunday’s deadline to cut rosters down to 46 players and, more importantly, get it all right before the season-opener. 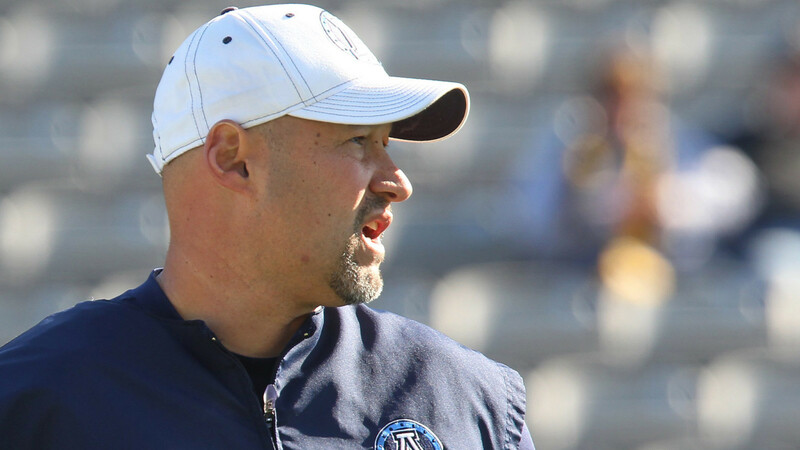 “There are a couple of battles that are still ongoing,” Argos head coach Scott Milanovich told Argonauts.ca. “There are some guys we know are going to be starters, but there are still some battles. 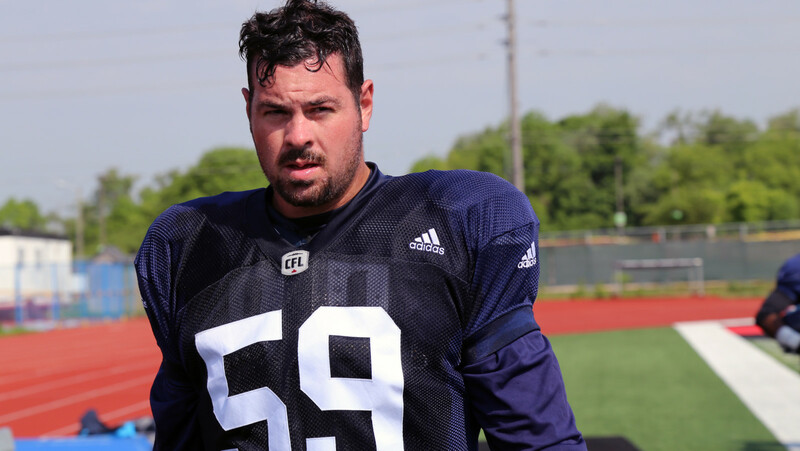 While some minor tweaks are to be made, it appears Milanovich is mostly comfortable with his team heading into its June 23 season-opener against the Hamilton Tiger-Cats at BMO Field. Ricky Ray will not start at quarterback after taking just four reps and completing one of three passing attempts in last week’s 25-16 win over the Hamilton Tiger-Cats, while Logan Kilgore will start his second straight game under centre. There’s no debate over the pecking order in the Argos’ huddle after Milanovich confirmed this week that Ray is his opening-day starter and the backup job is Kilgore’s to lose after going 8-of-13 for 107 yards and a touchdown in the pre-season opener. “He’s had a really good camp and he carried it into the pre-season game,” said Milanovich. “He’s going to start again on Friday. Fighting for that third spot are Mitchell Gale and Cody Fajardo, both of whom played last weekend and will get a solid crack at the job following the release of Adrian McPherson. But a greater emphasis will be on Kilgore on Friday night, as he looks to prove he’s a capable backup to Ray and potentially the Argos’ quarterback of the future. Last week Kilgore, who showed well early last year but was sidelined a good chunk of the season to injury, played his part in two first-quarter scoring drives that limited the Ticats to only two first quarter possessions. The Argos will leave the majority of their starters on both sides of the ball at home, not just Ray, as Devon Wylie, national Malcolm Williams and 2016 draft pick Llevi Noel draw starting assignments as they try to earn roster spots, while Wylie will also return kicks. For many of the players in the lineup, Friday night’s contest is far more than just a dress rehearsal. While the Argos rest most of their starters, the Alouettes are taking the opposite approach. Bear Woods will not be active but outside of that, the lineup fielded by the Als will closely resemble the one seen on June 24 when they open their season in Winnipeg. The Alouettes will look for a better result than their 36-13 loss to the Bombers in their pre-season opener, although the score in that game isn’t indicative of how they played. The Als’ defence shut down Drew Willy and the highly-talented Bombers’ starters, taking a 3-0 lead out of the first quarter in Winnipeg. Veteran quarterback Kevin Glenn, meanwhile, will look to build on a solid start in which he completed 14 of 19 passes for 140 yards and a touchdown. “Last pre-season game was a good pre-season game, I think we did a good job of coming out and moving the ball as the first unit,” said Glenn. Glenn will get the start again on Friday and work with the team’s regular starters on offence, including S.J. Green, Duron Carter, Kenny Stafford and running back Tyrell Sutton, who didn’t play in the opener after last year winning the rushing title. The name of the game for the Als’ offence will be executing in a game situation as that unit remains in the early stages of mastering Offensive Corodinator Anthony Calvillo and Jacques Chapdelaine’s new-look offence. While Glenn threw a game-high 19 passes last game, Rakeem Cato, Vernon Adams Jr., Brandon Bridge and Jimmy Underdahl all took reps. Cato, considered to be on the roster bubble with the Als’ roster depth, showed well in completing five of six passes for 46 yards and a touchdown. Adams Jr., meanwhile, the one everyone was excited to see after being acquired by the Als for a first round pick, went 1-for-4 with an interception in his first CFL action. 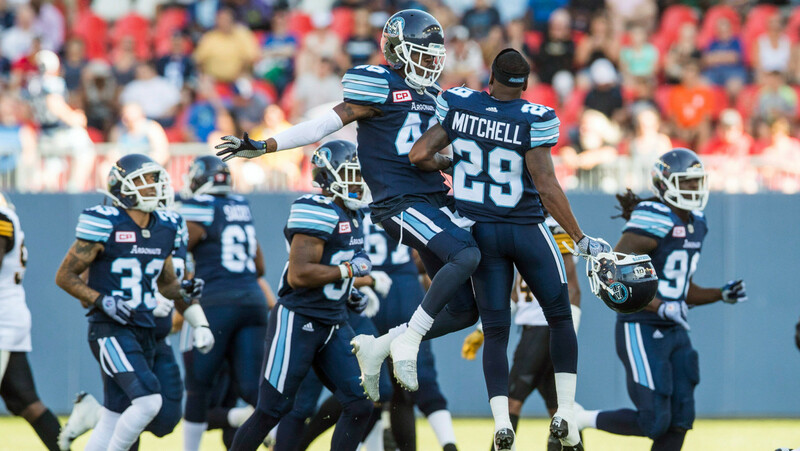 The Argos and Als meet for the first time in regular season action on July 25 at Toronto’s BMO Field, then for the second and final time on Oct. 2 in Montreal.